SAP, which started as a venture by five young engineers in the early ‘70s, has now grown into a multinational giant housing nearly 1,00,000 employees and servicing more than 4,00,000 customers. SAP SE offers services ranging from ERP to CRM, Digital Supply chain and other advanced business intelligence tools, enhancing the ease of operation across the enterprises. This German company has also made giant strides in the Indian corporate scenario with its solutions to automate processes, empower employees and create revenue with ease and intelligence. 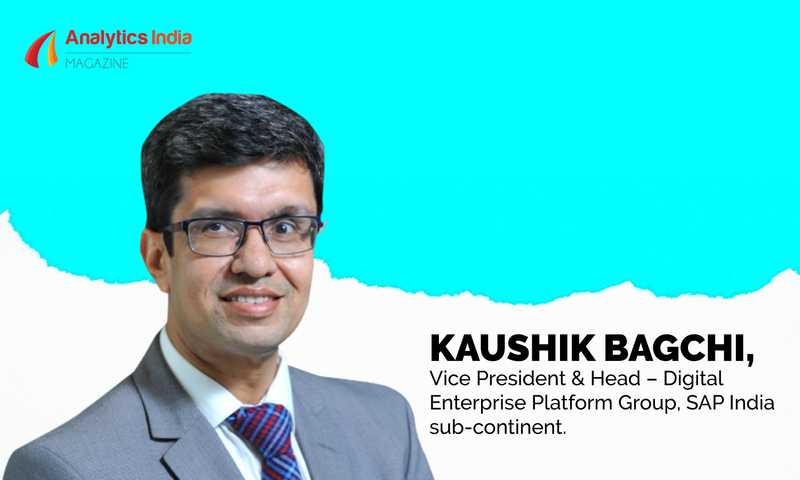 In conversation with Analytics India Magazine Kaushik Bagchi, Vice President and Head – Digital Enterprise Platform Group, SAP India sub-continent, talked at length about their products and the company’s vision for the future. Bagchi, who has over 20 years or work experience, completed his MBA from Calcutta University and helmed managerial positions at Oracle and IBM. During his stint at IBM, as a Vice President, he ran information management business for IBM, it was a combination of DB2, Cognos and later joined as Director at Autodesk before moving on to SAP as VP and Head. Analytics India Magazine: Tell us about your role and work at SAP SE? Kaushik Bagchi: SAP business team aims to access, process and consume information in a residency neutral manner for the customer. A decade ago, there was only one way to process information. That was to put information in the relational database and run queries. This has changed now, due to the nature of data. Now the whole idea is of a Unified container to process information, this is called a Relational Database. In the last three or four years, the world is moving towards multi-speciality containers. Transactional, relational data, unstructured data, large data, real-time data make up these multi-speciality containers. It is our responsibility to offer customers multi-speciality containers to process their information. Advanced analytics- enterprises have been automating transactions for a long period of time. Now we will help customers assist their processes and help them become agile. we have to see things ahead of time and use advanced analytics for the process to recommend things to the customer. Agile analytics- When you take a decision in transit, agile is getting popular because earlier humans were only seeing reports and when they would have queries, they would go to somebody but today integrated apps are running algorithms on data. So they won’t wait. One needs agility to be able to act on data. Residency neutral manner- customers can build their hybrid infrastructure network on cloud and print. To give them an advantage to access info, whether big data or real-time data. It can be done as a combination of both platforms. AIM: Can you brief us about the product that you are working on right now? 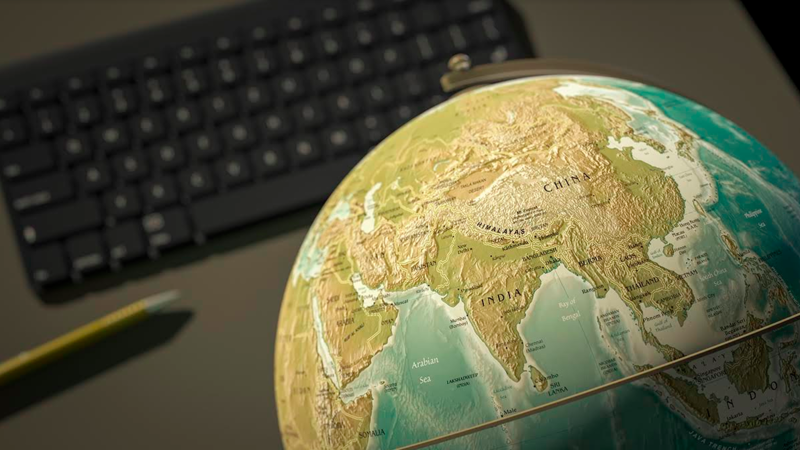 Access, collect and connect – tools like SDI (Smart data integrator), SAP data harp, SAP data management suite, key products help one to do all processes that are required to handle data access. These include data transformation process, managing metadata as you connect to multiple data sources; all of this is a part of Sap Data Management Suite. Process- we usually have big data containers on the cloud, data harp helps you manage big data, connect it to large data sets then merge with transactional data (TD). TD can be run on ‘Hana’. In real-time data, Hana is one of the best innovations in the last 6 yrs, flagship product to handle real-time info. Because of the swing of digital technology, people’s need to access real-time info has increased. that’s why there’s so much update in HANA because people value to manage information in real time. The consumer focus is on analytics, so SAP analytics portfolio, the cloud analytics portfolio which is significantly seen in the market because we really tried to understand what customers want to understand out of data. Our embedded analytics built on our tech. Eg- if I am building a tool, my analytics tool which will govern the embedded analytics of all SAP apps moving forward. many customers globally deployed, imaging capability, versatility and robustness of my analytics platform, most people undermine this. Most of us need to understand this. SAP needs these tools to run apps to lakhs of customers. The platform around ML, AI and Blockchain, a lot of content is on the cloud. For the residency neutral manner- how we make data easily available on the cloud, SAP Cloud Platform and sap cloud analytics ( which is a container on the sap cloud platform ). these data services can run on an SAP cloud platform, which can directly connect to the business services. that’s our data strategy. Data systems are sustainable but difficult to maintain since earlier updates would come once a year now they come every week. how much can one keep updating, sources can’t be overwritten. ACP has built a complex analytic data portfolio is because there’s a business. AIM: How is SAP implementing Cloud services for its products? KB: Cloud is a concept where it’s infra, platform and software are a service. We aren’t into infrastructure since we are not an infrastructure company. We look into platform and software as a service (PaaS and SaaS). We have a large customer base because people want to move their business to cloud, maintain data and operationalize it. For example, the warranty data of a product, inventory data have to be maintained and corrected. whatever u want to build in the frontend, and successful business-wise, it has to go in and out of ACP many times. Either use 3rd party operators which use adapters and keep connecting till you update or use ACP cloud platform, they have all business services like IOT, predictive built into the product. this will work till the innovation n tech are better than others. our customers don’t lose out on innovations and can do necessary innovations on data.